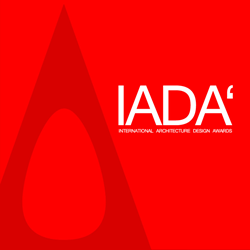 A' Design Award and Competition is welcoming submissions of creative architecture, building and structure design projects by international architects, architecture offices, real estate developers, civil engineers and construction companies. The A' Architecture, Building and Structure Design Awards is an annual event that admits submission from all over the World. Architecture, building and structure design projects that were proposed and/or completed within the last 10 years are eligible to be nominated. The A' International Architecture, Building and Structure Design Competition accepts entries in several different sub-categories such as residential architecture, commercial architecture, architecture for transportation, cultural architecture, institutional architecture, industrial and agricultural buildings and recreational architecture. The A' Architecture, Building and Structure Design Competition is a recognised international accolade created to highlight the most innovative works in building and architectural design industry. Once a year, a highly reputable jury panel is selected in order to choose and honour the greatest professionals within the industry. Winners of the A' Architecture, Building and Structure Design competition will be awarded during Winners’ Gala Night Award Ceremony in Italy. All laureates will receive a prestigious A’ Design Prize that includes a professional certificate, lifetime license to use the award winner logo, yearbook of best designs, exhibition of awarded works in Italy, design award trophy, inclusion in World Design Rankings and invitation to Prime Clubs. In addition, A' Architecture, Building and Structure Design Award winners will also be entitled to have a comprehensive press kit that is prepared and distributed to thousands of press members and media partners. Submissions to the International A' Architecture, Building and Structure Design Awards are accepted until February 28, 2018 with results announcement on April 15, 2018 through a vast network of design oriented publications and media partners.